Nikon world's largest and Japanese camera manufacturer company has announced its first ever Android based Digital Camera for its users named "Coolpix S800c" with the advanced support of Android 2.3 Gingerbread operating system and having 16 Mega-pixel Camera. 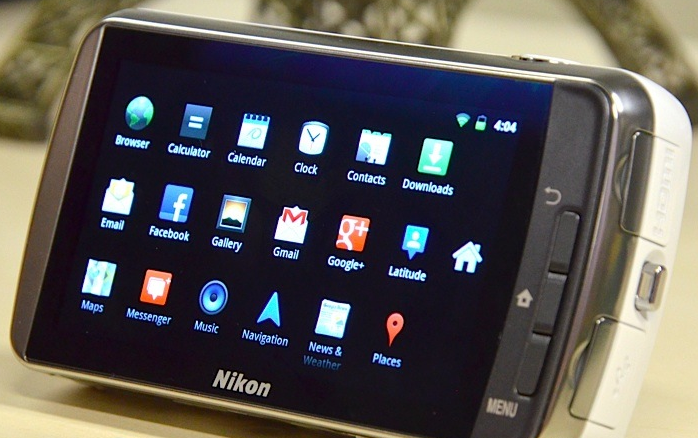 Nikon is not the only company who has built a camera having Android OS in it; previously many small companies had also introduced Digital Camera's having Android OS installed. Nikon's Coolpix S800c Digital Camera is different from others because it’s a fully loaded power packed featured camera with new point-and-shoot compact camera support. Nikon's Coolpix S800c Camera has Android 2.3 Gingerbread operating system which is older version of Android OS but it’s perfect for any Digital Camera with the impressive 16 MP shoot. Nikon's Coolpix S800c is also a social networking supportive device having built-in social media support for sharing Videos and Images through Wi-Fi Connectivity. Nikon's Coolpix S800c has 1/2.3 CMOS sensor with 10x Optical Cyber Zoom, image stabilization, GPS and 1080p Full HD video recording feature. 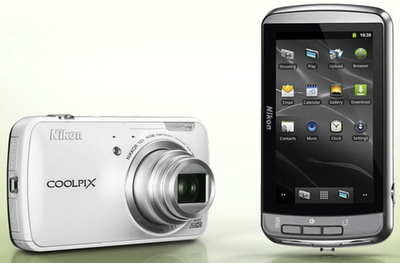 The camera has a 3.5 inch OLED touchscreen display with a respectable resolution of 854 x 480. The camera support up to 16 Mega-pixel of shoot in day and night. Nikon's Coolpix S800c Camera have also got ability to run and load camera without Android OS, it means users can use the camera even when Android OS is not running through which users can save time and battery on loading at start-up of device. Nikon's Coolpix S800c has 1.7 GB of storage space for photos & videos and 680 MB for Android Apps and it’s also expandable. The battery life of Coolpix S800c is also impressive which provides you ability to take 160+ photos with a single charge by its 1,050 mAh battery. Users can also edit and include effects in images by its photo editing tool and can also share videos and images through its Wi-Fi connectivity, Sharing videos and photos with your families and friends will be quicker and easier than ever if you are in any Wi-Fi range places. Nikon's Coolpix S800c doesn't support 2G or 3G services but only Wi-Fi connectivity with GPS support. Nikon's Coolpix S800c Camera users can also Download and Install Android Apps directly from Google Play Store since the operating system is running Android 2.3 Gingerbread, you can play your any favorite Apps and Games supporting Android 2.3 in Nikon's Coolpix S800c Digital Camera. The official Release Date of Nikon's Coolpix S800c is September, 2012 and after that it will be available in Black and White colors in all over the world. Users can get and purchase the Nikon's Coolpix S800c Camera after due date with the official price of $350 USD Dollars in U.S.A. and £379 Euro in UK. Following is the official Screenshots and Images of Nikon's Coolpix S800c Digital Camera. 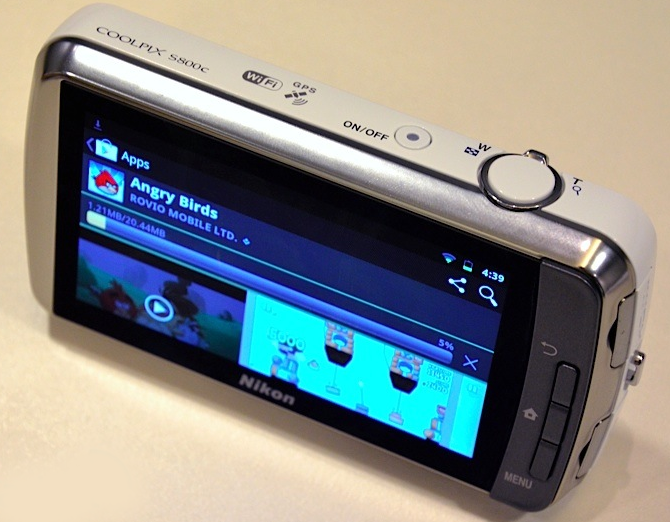 Following is the Video Review of Nikon's Coolpix S800c Digital Camera running Android 2.3 Gingerbread operating system.